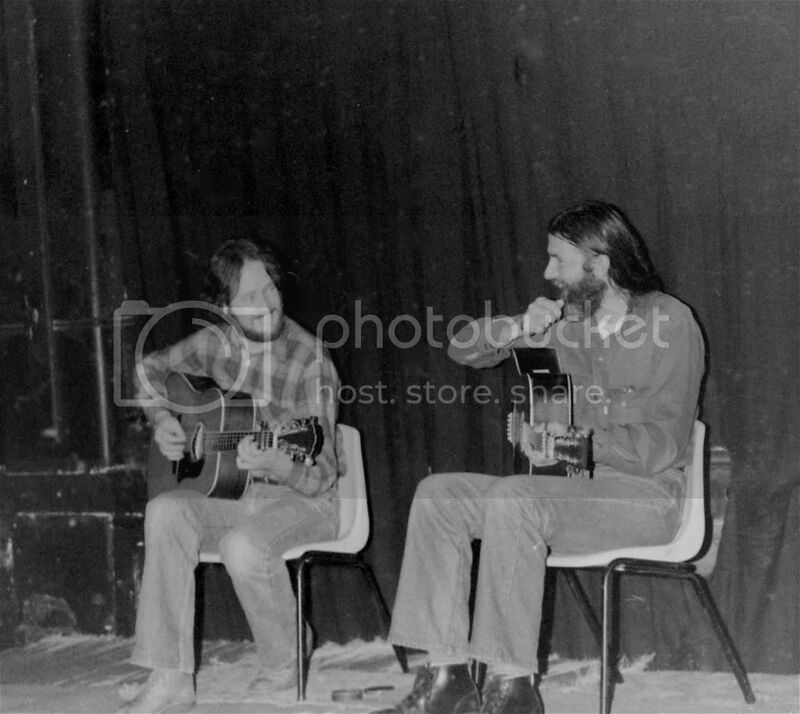 Andrew Clermont, John Francis and Paul Wookey at the Frances (SA) Folk Gathering. Photograph from Peter Summers Collection. Photograph from Paul Wookey Collection. Paul Wookey with Helen Barnard circa 1976. Paul Wookey departing for Nashville 1978. Paul Wookey in Centenial Park, Nashville, USA 1978. Holding George McCarley's Colt 45 and wishing he were Clint Eastwood. Paul Wookey in Nashville, USA 1978. Sitting on George McCarley's Cadillac with George McCarley. Paul Wookey at "Pickin' in the Park", Moonee Ponds, 1978. L to R: Paul Wookey, John Grey, Greg Hildebrand, Greg O'Leary. Paul Wookey at "Pickin' in the Park", Moonee Ponds, 1979. Paul Wookey, Rockhampton, Queensland, circa 1982. L to R: Andrew Hook, Paul Wookey, Ian Simpson, Donal Baylor. Paul Wookey , "Mountain Breakfast" photo shoot, 1981. Paul Wookey on stage with John Hammond, 1985. Paul Wookey with John Hammond, Healesville Santuary, 1985. Paul Wookey, publicity photo, circa 1985. Paul Wookey, live at the Troubadour, circa 1985. Paul Wookey, live at "The Troubadour", circa 1988. Paul Wookey, electrified, circa 1990. Photograph from "Tamworth Rage Page". Paul Wookey "I Wish It Would Rain"